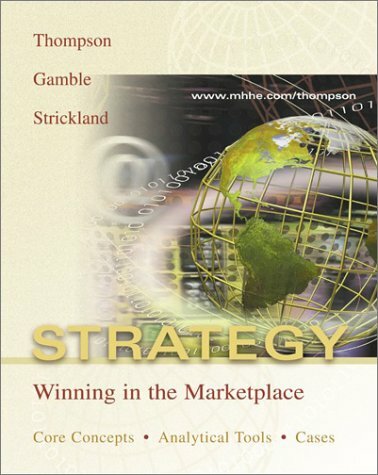 By John E. Gamble, A. J. Strickland and Arthur A. Thompson, Jr.
9780071119627 | McGraw-Hill Education, June 1, 2005, cover price $65.75 | About this edition: "Strategy: Winning in the Marketplace" is the newest offering from proven authors Thompson, Gamble, and Strickland. 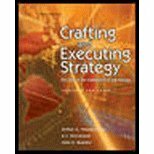 9780072884449 | 14th edition (Richard d Irwin, June 1, 2004), cover price $122.18 | About this edition: "Crafting and Executing Strategy" presents the most recent research in strategy in a way that students can understand and apply to business cases and problems. 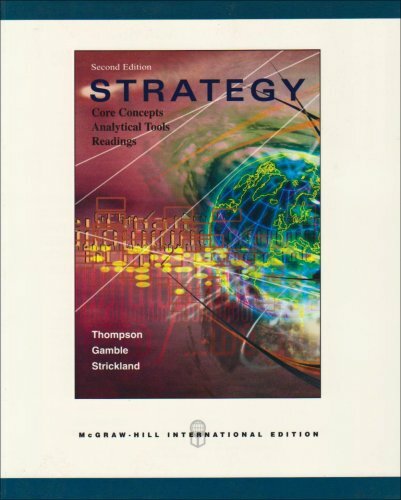 9780072847703 | McGraw-Hill, December 1, 2003, cover price $55.01 | About this edition: STRATEGY: Winning in the Marketplace is the newest offering from proven authors Thompson, Gamble, and Strickland. 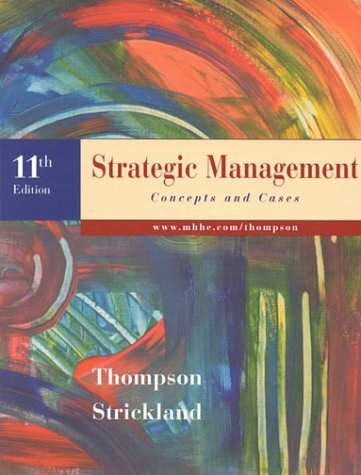 9780072518771 | 12 pck edition (Irwin Professional Pub, November 1, 2000), cover price $111.85 | About this edition: Strickland and Thompson Cases in Strategic Management is the softcover collection of cases component of this market leading strategic management package. 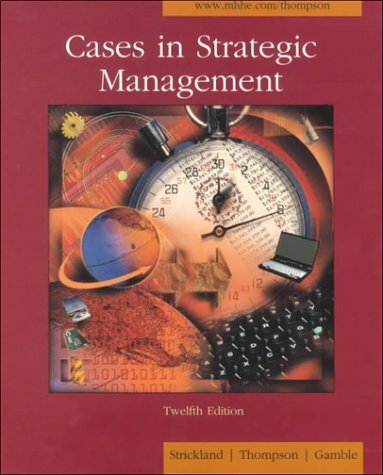 9780256241488 | 10th edition (McGraw-Hill College, November 1, 1997), cover price $66.75 | About this edition: Thompson / Strickland CASES is the softcover cases component of this marketing-leading strategic management package. 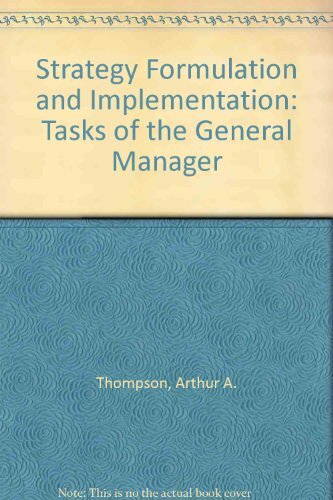 9780256150629 | 5 sub edition (Richard d Irwin, September 1, 1994), cover price $62.50 | About this edition: Strickland and Thompson Cases in Strategic Management is the softcover collection of cases component of this market leading strategic management package. 9780256097191 | 4th edition (Richard d Irwin, February 1, 1992), cover price $37.95 | also contains A Prayer Mandate Reflecting the Heart of God | About this edition: Strickland and Thompson Cases in Strategic Management is the softcover collection of cases component of this market leading strategic management package. 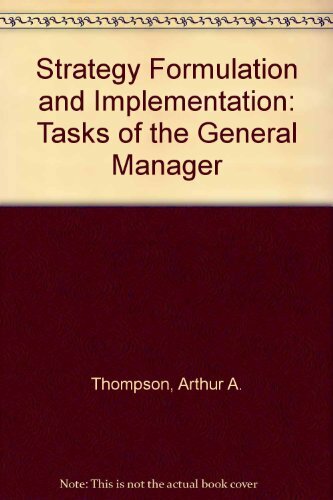 By A. J. Strickland and Arthur A. Thompson, Jr.
9780072285482 | 11 pck edition (McGraw-Hill College, August 1, 1999), cover price $118.95 | About this edition: A comprehensive text which covers the whole range of activities involved in strategic awareness, strategic management and strategic change.